There are severe civil and administrative penalties for misclassification of workers who should actually be employees as independent contractors. If a worker is classified as an employee, the employer must pay approximately an additional 7.5 percent of her salary in payroll taxes, as well as workers compensation insurance, and the benefits which other employees get. This gives businesses a strong incentive to classify workers as independent contractors. However, this has long been illegal under both federal and New Jersey Employment law. New Jersey has found this practice to be widespread in the construction industry, depriving workers of benefits, social security taxes, and forcing the employer to pay self-employment tax, or the employer’s portion of the payroll taxes. Additionally, the New Jersey Legislature has found that this puts businesses currently classifying workers as employees at a competitive disadvantage with those whose do not because of the higher costs they bear. New Jersey therefore enacted the New Jersey Construction Industry Independent Contractor Act. The determination of whether a contractor is an employee or an independent contractor comes down to control. The Act creates a presumption that “services performed in the making of improvements” to real property “by an individual for remuneration paid by an employer is “employment” by an “employee.” The burden falls on the business/employer to prove to the satisfaction of Department of Labor Workforce Development that the worker is, has been, and will continue to be free from the employer’s control or direction for the performance of the work; the services outside the usual course of business, or performed outside of the employer’s place of business; and the worker is “customarily engaged in an independently established trade, occupation, profession or business.” The fact that an employer classifies a worker as an independent contractor, or fails to withhold items such as income taxes or unemployment compensation, has no bearing in the analysis. Whether the worker makes a profit or loss from the work and actually bears economic risk beyond not getting paid. Whether the worker has other clients, or if the business is the sole source of her income. Whether the worker owns the equipment and tools she uses, or whether the business owns them. Whether the business trains the worker. Whether the company hires assistants for the worker, or whether she does so herself. Whether the worker’s services have become an integral and necessary part of the business’s operations. Whether the worker delegates tasks to someone who is not an employee of the business, and bears the responsibility to pay that assistant. Whether the worker must spend all of her time working for that one business. Whether the business determines the worker’s hours. 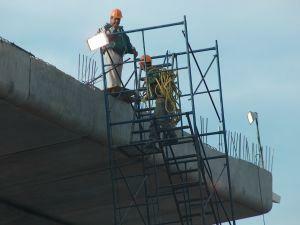 Whether the worker is required to perform her work at a particular site chosen by the business. Whether the worker is paid on a regular pay schedule, such as hourly, weekly or monthly basis, rather than by the job or on commission. Whether the business can unilaterally fire the worker. Violation of the New Jersey Construction Industry Independent Contractor Act has severe consequences. Employers are liable for the fines and penalties that all employers are for misclassification of workers, and for civil suits by wrongly classified employees. However, New Jersey construction industry employers, including officers, agents, superintendents, foremen or other employees who misclassify workers can be guilty of criminal offenses, with penalties which range from $1,000 to $75,000, in terms of imprisonment from ten days to ten years. Additionally, employers are liable for civil suits from misclassified employees for their lost wages, and double lost wages is a misclassification or was intentional, plus payment of the employee’s attorneys fees under the New Jersey Wage and Hour law, and the Federal Fair Labor Standards Act. Additionally, businesses which misclassify workers in the construction industry will be prohibited from obtaining public contracts on government jobs. It is therefore important for New Jersey construction industry employers to have experienced New Jersey employment attorneys to review their employment practices, and draft independent contractor agreements which satisfy the Act’s requirements. It is also essential for employees who have been misclassified as independent contractors to consult with an experienced New Jersey construction employment lawyer to safeguard their rights. McLaughlin & Nardi’s New Jersey construction attorneys have significant experience in both employers and employees in wage and hour disputes in all types of industries and businesses particularly in New Jersey’s construction industry. To learn about what we can do to help, please visit out website, www.esqnj.com, e-mail one of our New Jersey employment lawyers, or call at (973) 890-0004. Tagged: "classification of employees", "independent constractors", "New Jersey construction industry", "New Jersey construction workers", "New Jersey employment law." and "wage and hour"